We love to cook and we love to hear what others are cooking. With pics of course! 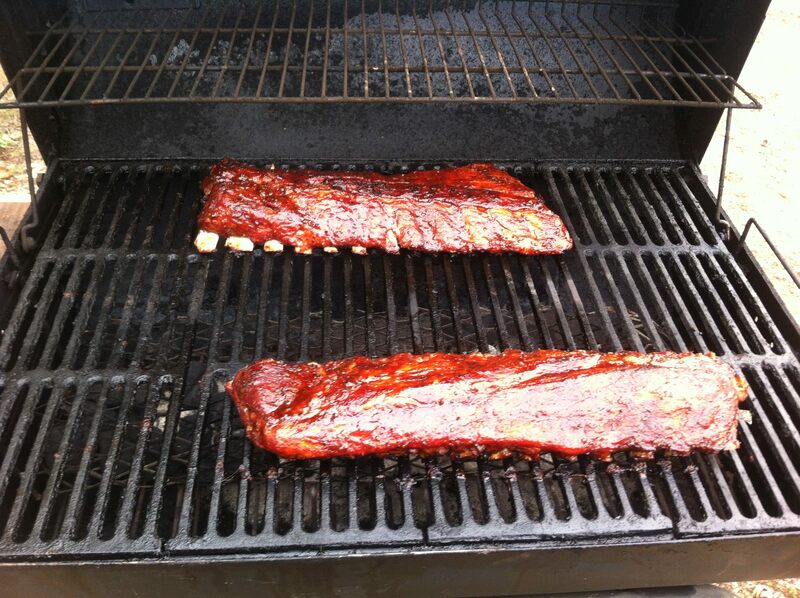 I had to smoke some ribs today to keep my motivation up for the new smoker build. I mixed it up today and while I did my favorite...baby backs, I used up some odds and ends rub, some applewood rub and some mesquite rub. I also used my new to me sauce recipe. There is very little heat in this batch as I wanted a base to be able to build off of. Every time I leave the racks whole I end up breaking one.....I normally cut the rack in half....I need longer grabbers. Re: Let there be dinner! And they were! This cook was a mixed mash that ended up working out better than I had hoped. I used two different rubs to get rid of some leftovers, apple wood and mesquite rubs, I ended up not having any apple juice for my crutch so I used butter like normal but added a splash of orange juice instead of apple juice. I used my new sauce recipe that is just a base right now with no heat to it. 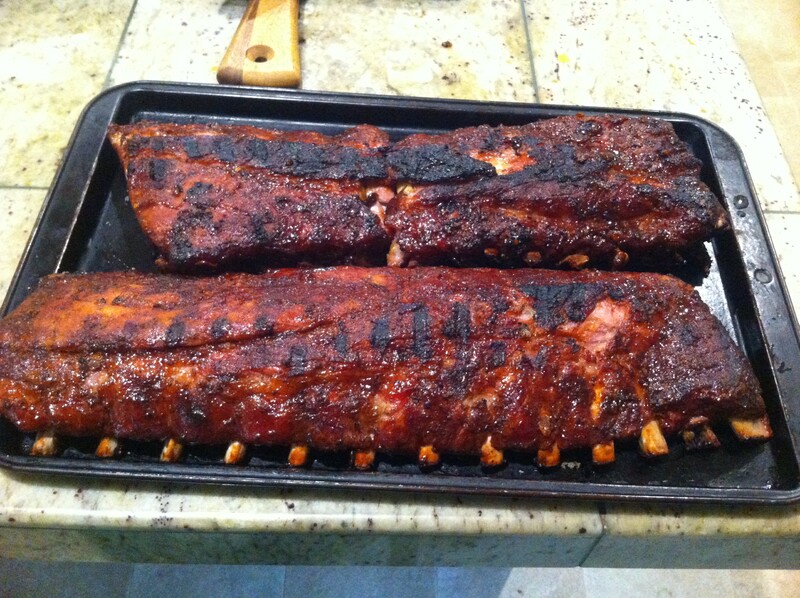 The ribs came out very light tasting with the pork flavor being top of the list. For a toss it together cook it came out really good...so good I wrote down what I used.